It’s that time of the year again: Spring Cleaning. If you prefer to clean your home without using harsh and possibly toxic chemical cleaners, we’ve rounded up 7 DIY green spring cleaning recipes. 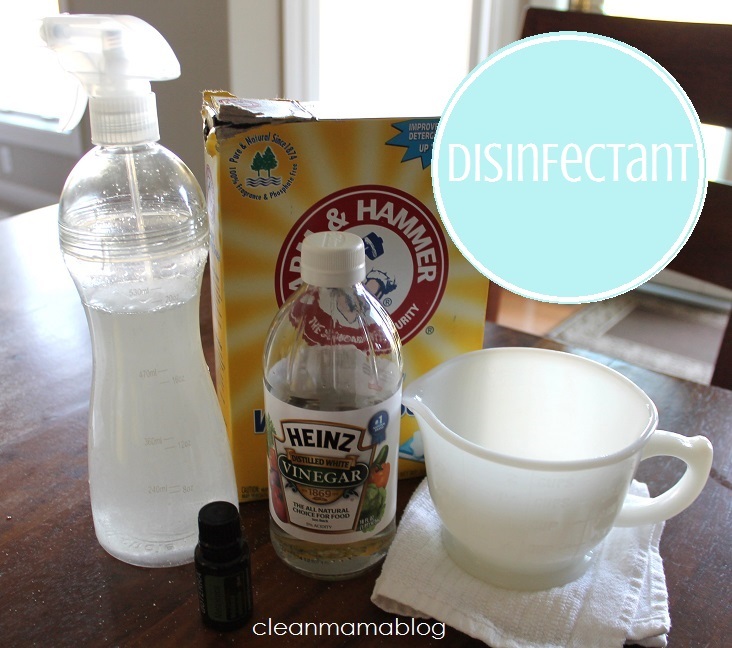 Combine the ingredients in a spray bottle and use with a microfiber cloth. Get full instructions here. Mix all ingredients in a spray bottle, spray surfaces, let sit for 10 minutes and wipe clean with a cleaning cloth or paper towel. More info here. *Note that Vinegar cleaners shouldn’t be used on granite and/or marble; the acid in the vinegar will eat away at your granite and marble. Let it sit for a few hours. You may have to spray more water periodically to keep the baking soda wet. Full directions here. Mix the ingredients and pour it over rags. You can put these pre-moistened wipes in a baby wipe or plastic container. Full directions here. Follow with 1/2 cup white vinegar down the drain, and cover with a plug or rag. Let this mixture sit in the drain, and then flush with boiling water. More info here. Combine in a small spray bottle, generously spray the stain, and rub away with a towel. Full instructions here. Cut any fruits and place in water, add spices, extracts and herbs. Fill your pot with water 3/4 the way full, and boil. As soon as it reaches the boiling point, reduce to low heat and simmer. See a bunch of recipe ideas here, such as Fall Wonderland, Gingerbread and Italian Backyard.